Insight engines augment search technology with artificial intelligence to deliver insights — in context and using various modalities — derived from the full range of enterprise content and data. This Magic Quadrant profiles 13 vendors to help you make the best choice for your organization. Find out why Gartner named Mindbreeze a Leader and positioned us highest for Ability to Execute in the Magic Quadrant for Insight Engines 2018. 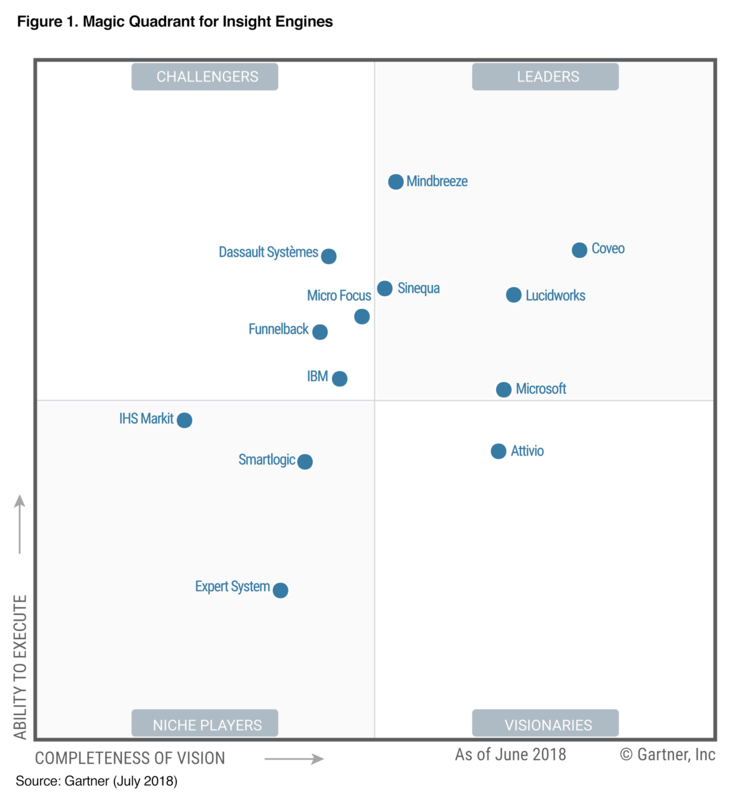 Download the Magic Quadrant now! This graphic was published by Gartner, Inc. as part of a larger research document and should be evaluated in the context of the entire document. The Gartner document is available upon request from Mindbreeze. The Enterprise Search Appliance: Plug it in. Get started. Mindbreeze InSpire comes to you as an appliance − coordinated hardware and search software. Mindbreeze analyzes structured and unstructured information from all corporate sources. The solution recognizes the contents of documents, classifies them, and creates the semantic correlations between the individual pieces of content.